This is one of the earliest Model J Duesenberg’s we’ve yet featured. The car that took the world by storm in late 1929 still gets people’s attention today. The Model J is undoubtedly one of America’s greatest automotive achievements. This is a “Disappearing Top” Convertible Coupe, built by the Walter M. Murphy Company of Pasadena, California. They built 60 Convertible Coupes, with only 25 of those being of the Disappearing Top variety. As a Model J, it is powered by a 265 horsepower, 6.9-liter straight-eight engine. This car was sold new with a Derham Sedan body attached to it. The original owner in Chicago sent it back to Duesenberg to have this body installed. This happened in 1934 and then it was resold. It has had many owners, but the current owner has had it for many years and used it often. In fact, he has driven this car round trip from Florida to Auburn, Indiana. The car’s second restoration was completed under his care and is being sold to benefit a liberal arts college. Read more about it here and see more from this sale here. 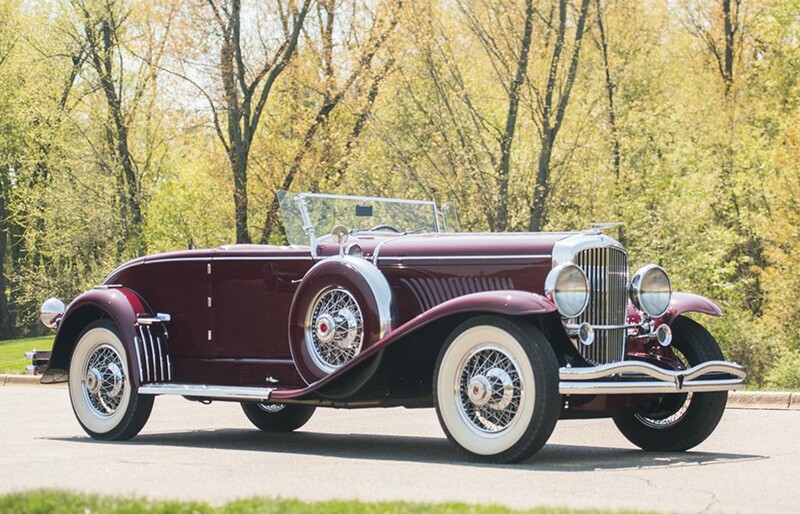 This entry was posted in Uncategorized and tagged 1929, auctions, cars, classic cars, convertible, coupe, disappearing top, duesenberg, murphy, rm sothebys by classiccarweekly. Bookmark the permalink.